Recommended to: Fans of the series! Liv is back and better than ever in this one! Ahhhhh. Once again, Sandra Brannan has totally taken my breath away with her writing. Widow's Might brings back the Liv that I was waiting for, a completely twisted murder that kept me reading, and a fabulous cast of characters. What I love most about this books in this series are how easy they are to get into. Read a page, and you're already hooked. It's hard to remember that this book takes place only a few short days after the last book ends. My favorite part about Liv's character has always been how strong she is, and that doesn't change here. She's slow to anger, quick to empathy, and a downright wonderful person. As an added bonus, we meet her sister in this book. Elizabeth is like Liv multiplied by ten. I completely adored her! A woman who gives any cause a hundred percent of her time and effort, she is just as strong as her sister, and even more stubborn. The two of them are a force to be reckoned with, that's for sure! The romance is ramped up a bit in this third book as well, although it still does a fabulous job of staying in the background. Agents Pierce and Linwood are the polar opposites of one another, but Liv finds chemistry with both of these wonderful men. It's a a breath of fresh air to have a bit of romance thrown in between all the work that goes into solving the mysteries. Let me be the first to say that no matter which of these two men Liv chooses, I'm all for it! I'll take the other one off her hands any day. Clues are laid out in bits in pieces, always giving the reader just enough to be on the cusp of solving the murders, but never enough to quite get there. It's deliciously frustrating. What I most enjoyed about this particular book in the series (and missed in the second book) is getting a chance to see from the murderer's point of view. Having the opportunity to see into the twisted mine of "The Crooked Man" is a treat. Creepy, yet completely fascinating. So yes, Widow's Might gets a huge five starts from me! It brought back everything that I was missing in the last book, and kept me reading well into the night. If you haven't yet started this series I highly recommend it! Liv is sure to steal your heart, as will all the other characters in this series. 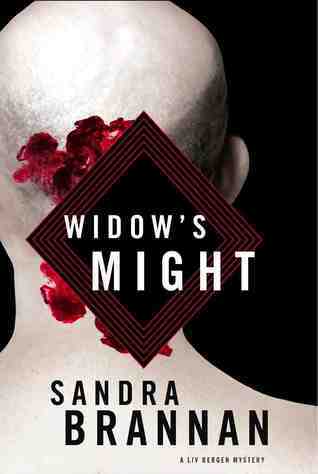 Full of twists and turns, Widow's Might is the stuff of late nights spent reading. I cannot wait for more!